Updated with link to regieter and join, see below. Enjoy an informal, open discussion with a fellow patient advocate, CDRH subject-matter- expert and others in the diabetes community. Whether you want to just listen to the interview to get informed, ask relevant questions to better understand the medical device regulatory process or just speak your mind on the newest draft guidance document.... you should join in the conversation. To join in come back to the link on the 31st. Where does a person go to participate? I don't see a link. Thank you so much for providing this opportunity for us all to chime in on and listen to! Page updated with registration and participation links. Awesome thanks! I was really confused and looking everywhere but I couldn't find where to go! =D I was unsure if I was just having a blonde moment or not. 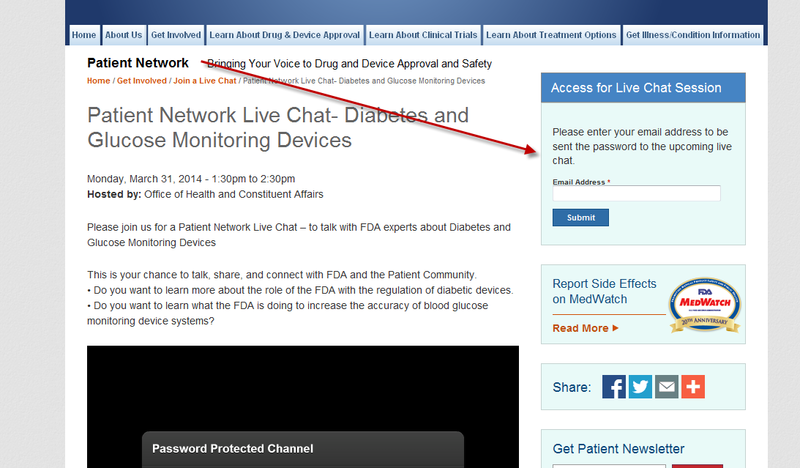 Heard from the FDA that it was going to happen and posted before figuring out how to register. I am more grey than blonde but same net effect. Posted, blogged, tweeted, face booked and registered!